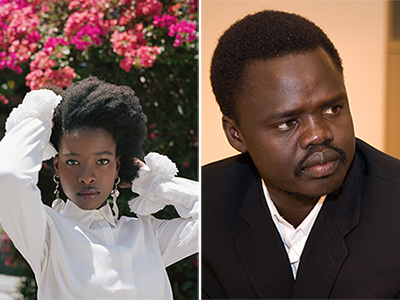 Celebrating its 70th year on the University of Colorado Boulder campus, the Conference on World Affairs is pleased to announce one of its most diverse speaker lineups to date. 111 speakers and performers will come to Boulder bringing different perspectives to bear on the most important issues of our time. 37 speakers will attend from outside the US (representing 25 countries), with a near a 50/50 balance of men and women (including those with transgender history). Among the issues being covered are the 2018 CWA program core themes: Leadership: In the Words of Women, Feeding the Future (a extension of the 2017 CWA food series), and People and the Planet. Tulio K. Cardozo, Technical Manager for The Last Mile Works at San Quentin State Prison and the first credentialed employee authorized to work in the same facility where he was once incarcerated. Returning speakers and performers include Shadia Marhaban, journalist, activist and peace mediator based in Indonesia, James Tanabe, senior director of creative strategy for Cirque du Soleil, and Joe Cirincione, president of Ploughshares Fund, nuclear expert and MSNBC contributor. All speakers and performers are selected by the CWA program committee, comprised of student and community volunteers. Get more information at the 2018 Speakers and Performers page. Sign up for the CWA newsletter to receive the latest information on upcoming news and events.